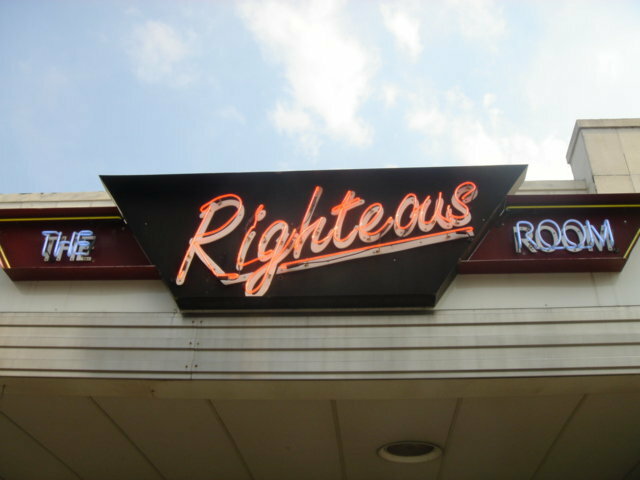 The Righteous Room will open a second location later this fall. The Righteous Room, whose original location in Ponce de Leon Plaza (aka Briarcliff Plaza) opened in 1996, is expanding to a second location in Brookhaven. The popular intown restaurant will replace the shuttered Thai Lana restaurant in Old Five Points Shopping Center in which Hovan Gourmet recently relocated. The intown dive bar plans to open its new location later this fall and early intel suggests it will have roughly the same menu as the original. For those unfamiliar, the original Righteous Room is located near the intersection of Ponce de Leon and North Highland Avenues, adjacent to the Plaza Theatre, in Poncey-Highland. The new location will open in Old Five Points shopping center, located near the intersection of Donaldson Drive and Ashford Dunwoody and Johnson Ferry Roads in Brookhaven. It is nice to now have food and drink options in Brookhaven. Quite a departure from when I moved here over ten years ago. I frequent Bat and Ball in the same shopping center and am wondering how the new Righteous Room will affect Bat and Ball's traffic. This seems kinda whack to me. I think what makes a dive bar like RR great is that it's small and unique and maybe kinda quirky. Now they're trying to export that model out to Brookhaven? Hahahahaha. The shopping center is a dump run by folks with questionable taste...(and I hope the RR got improvement allowances built into their lease...otherwise, they can expect the same kind of crappy faded and broken signage that haunts the other properties run by these folks).. But it is exciting to have a new spot in the area. Between the Bat N Ball, Corner Pizza, Jo's, Los Bravos, and the RR...you've got some choices on your night out. None of these are going to win awards for the food...but they are decent and a couple are kid friendly. Plus, Town Brookhaven and the new Aurellio's are only a short drive. I'm interested to see if the area is saturated or if the Coro/Ashton Woods development at Brookleigh will add even more dining options. Coro has many properties in the area (Georgetown, Brookhaven-Dresden, Perimeter Park Place, etc. )...I still think that spot would be perfect for a Trader Joes or a really good BBQ joint (think Community Q vs. Shanes). Do some digging on that! @tamara, well they did pick the quirkiest strip mall in Brookhaven - a charitable description of Mesh Corners (aka old five points ??). With its location next to Blackburn park and its adult baseball/softball leagues the places right here do get a crowd from a wide area. regarding the comment about Aurellio's, Avellios? Why did they cut down all those Oak Trees along their parking lot in Brookhaven. Very bad! Let's hope that the new location is completely smoke-free. I haven't been to the original location in many years since it (like The Vortex and a handful of others) caters primarily to smokers. The Thai Lana space is kinda weird with that enclosed tree. Parking isn't great there either. So are there any residences/apartments within stumbling distance? Any update on Brookleigh? Nothing new to report on Brookleigh at this time. I hope to have news soon. I live within walking distance of this and it looks interesting. The space is quite small though. It's probably going to be a smoking spot, which is a turn-off for me. I finally ate here the other night. Great place. I think its smoke free. there are tables outside in front of the place to smoke at. They built the bar around the old magnolia tree that is growing in the middle of the room. Which is great since the tree gives character to the place. Don’t worry, I understand there are several area residents that were instrumental in creating the city of Brookhaven that are interested in shutting this dump of a strip center down and they have the backing of Brookhaven’s mayor. Looks like this restaurant may have selected a less controversial space in our city.